Sweden is a unique country of refreshing contrasts. From the mountainous wilderness in the north to the rolling meadows of Skåne in the south. From high fashion and splendour of Stockholm to Gothenburg’s easy-paced café culture. From bathing in pristine lakes in the Midsummer sun to chancing upon reindeer on forest walks. Getting to Sweden is easy. With a caravan or motorhome you can choose between a number of ferry routes and the Öresund Bridge from Denmark. And there are plenty of direct flights to Stockholm, Gothenburg, and Malmö from all over Europe, for those of you travelling light. It is hard to think of a better way to experience Sweden’s exceptional landscapes than by staying at one of our many campsites. A view of the ocean, pitched under forest pines, or close to the city lights – there is something for everyone. Our campsites cater for tents, motorhomes, and caravans – there are even cottages and cabins for hire. 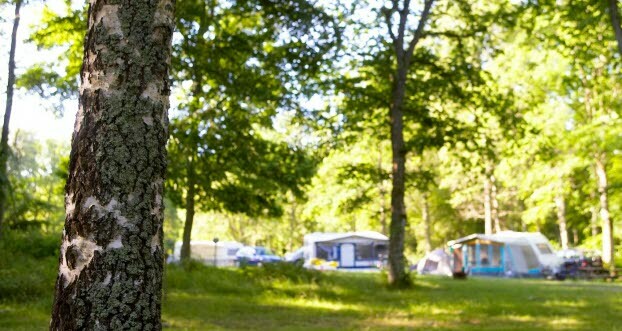 You will need the app My Camping Key to check in to any SCR Swedish Camping-affiliated campsite. If you choose to buy Camping Key Europe, your holiday will be more convenient, safer and cheaper. As well as simplifying check-in and check-out at campsites, it gives you tonnes of fantastic deals on travel and offers at tourist attractions. There are many reasons to fall in love with Sweden and they are all waiting to be discovered on your next trip here, so begin planning your Swedish holiday today.